Once there, a mysterious voice leads him to the office of a medium who hands him an envelope to deliver to Lincoln. Kase is unsure at first, but delivers the envelope to the White House, where Lincoln opens it to find a mysterious message. Two or three evenings after that I went to her house in Alexandria. 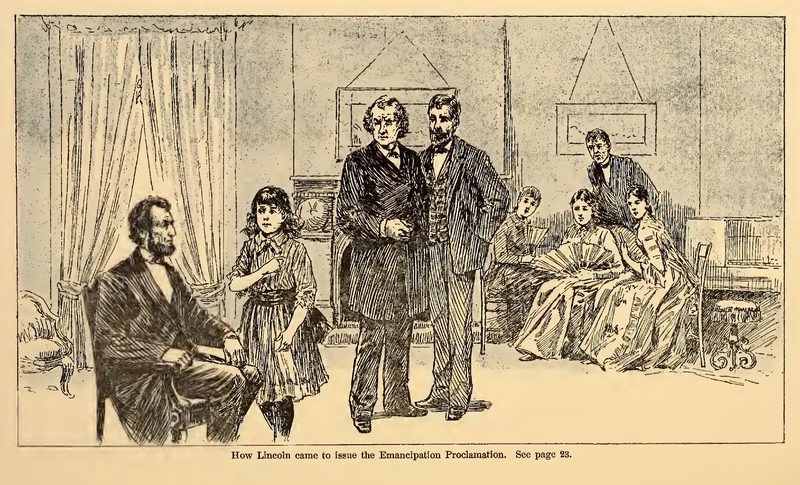 When I entered the parlor I found the President and Mrs. Lincoln there, together with a number of people whom I did not know. For a while the conversation was general and nothing unusual happened. Suddenly a young girl, about 15 years old, walked the length of the drawing-room to where President Lincoln sat. Stopping in front of him, the child — for she was nothing more — looked into his eyes with a peculiar rapt expression on her face. She talked to the President in this strain for an hour and a half, never hesitating or faltering for a word, and clothing her thoughts in language which, in her normal condition, she could not have understood. When she recovered from her trance she knew nothing of what she had done or said. This child was Nettie Maynard, afterward recognized as one of the greatest mediums in the world. The President seemed greatly impressed with what the girl had said. A short time before he had said to those urging the emancipation idea: “I hope it will not be irreverent for me to say that, if it is probable that God would reveal his will to others on a point so connected with my duty, it might be supposed He would reveal it directly to me, for, unless I am more deceived in myself than I often am, it is my earnest desire to know the will of Providence in this matter, and if I can learn what it is I will do it.” On Sept. 22, 1862, he signed the proclamation making the slaves freemen. Before I left Mrs. Laurie’s that night, I had another experience worth noting. Mrs. Miller, her daughter, began to play on the piano, and as she did so the piano jumped up and down on the floor, keeping time to the music. I asked if I might sit upon the instrument so that I could testify by my sense of feeling that it really moved. 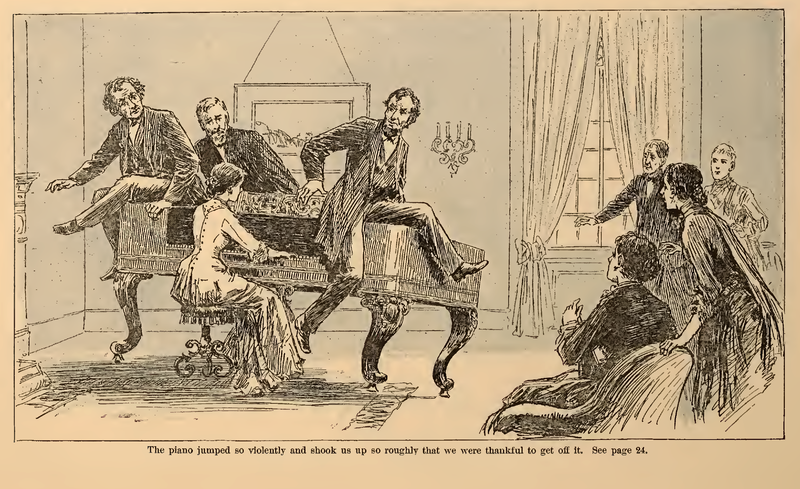 She gladly consented, and President Lincoln, Judge Wattles, who hailed from the West, and I sat on the piano. Mrs. Miller played again and the piano jumped so violently and shook us up so roughly that we were thankful to get off it. This entry was posted in Uncategorized and tagged 19th Century, Abraham Lincoln, American Civil War, Fayette Hall, Pianos, Slavery, Spiritualism. Bookmark the permalink.